Thankful for the symptoms – What's wrong with me? Last Friday night my little one came down with a bug or ate something that disagreed with her and was up for 4 hours vomiting in the early part of the night. I eventually got to bed at 1am and then we were up again at normal time (I look forward to her working out she can choose to sleep in; sometime around age 14 from what I gather). I was glad I had rested during the day before this happened but it still took a heavy toll. I went to work for 4 hours the next day and I felt like I had cement running through my veins. Limbs were heavy and mind was fuzzy. I went to bed early Saturday night and slept for 12 hours. When I woke I found myself thinking about the next time I am a team leader and what I will do differently, this surprised me because I had been in the mindset of ‘giving up’ – I had to give up because I couldn’t do it anymore, therefore I can’t do it, therefore I am a failure and I won’t be able to do it again. The space is giving me time to reflect and think about the last 2 years. I won’t be rushing back into a busy role like that until I am 100% healthy again and have been for some time. I had 2 full-time roles – Mum and manager – and when I got sick, I got a third. It wasn’t possible to do all three and one had to go. I hoped it would be the illness, but it wasn’t. One of the symptoms (or side-effects or whatever) of Parvo (or post viral fatigue or whatever) is pins and needles. 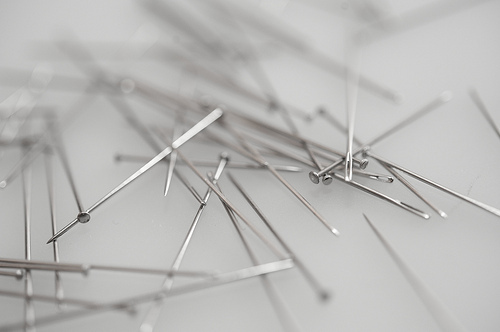 As I think I’ve tried to explain before it’s not like the pins and needles you feel from sitting on your foot for too long but an itchy crawling feeling across your body, accompanied by sharp and deep stabbing pains. Yesterday, the day I found out my position at work had been filled; I worked too long, intently sitting at a computer for 6 hours. The pins and needles started towards the end of the day, but stopping the work didn’t stop the symptoms and they continued to irritate and twitch into the night and I still have some numbness in my fingers today because of it. If I could, I wouldn’t work at a computer today and I sometimes dictate my writing into my iPhone before I type it so I don’t have to spend too long at the computer with this blog. This is a long and rambling way of saying I was grateful for these symptoms because they remind me to stop and they remind me that I am sick. I am sick, not just being lazy or finding it all too hard. The world is moving on without me; my job has been re-assigned to somebody else, I feel like I am being left behind but the pins and needles are actually my friend because they remind me there’s a reason I’m being left behind and I need to deal with that.